Here’s a quick overview of each of these tasks and why they’re important. First, let’s talk about why an exhaust system is a necessary safety feature. 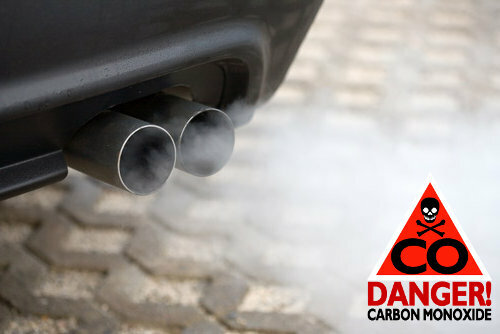 If there weren’t pipes to carry the exhaust gases away from the passenger compartment, the gases (which include toxic carbon monoxide) could poison the occupants of the car. For this reason, an exhaust leak should be considered a necessary repair. Next, let’s talk about how exhaust systems “scrub” exhaust gas. In this context, the word “scrub” refers to cleaning/removing pollution from the exhaust gas so that it does as little environmental damage as possible. Since the 1970’s, vehicles have been legally required to use something called a catalytic converter to reduce the amount of toxic gas coming out of a vehicle’s exhaust system. Catalytic converters use expensive and rare metals as catalysts for a simple process that forces exhaust gases to essentially burn themselves off. 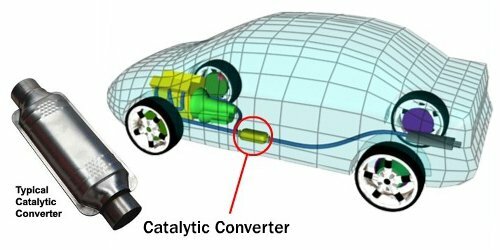 To learn more about how catalytic converters help clean-up vehicle emissions, check out this video from The Science Channel. Why exhaust systems have mufflers: An engine that’s allowed to run without any sort of muffler is incredibly loud, especially at wide open throttle. Mufflers reduce this sound to make driving a little more pleasant, as well as to reduce the amount of noise that cars make on public roads. Most cities and states have ordinances regulating the amount of noise a vehicle can legally make, and that means that mufflers are required almost anywhere in the USA or Canada. Note: Contrary to popular belief, mufflers do not automatically reduce vehicle performance. A correctly designed cat-back exhaust system can have a muffler without sacrificing any power. Sound absorption: A sound absorbing muffler contains a large amount of sound-absorbing material (very often fiberglass) that soaks up whatever sound enters the muffler – sort of like screaming as loud as you can into a pillow. Sound still gets out, but it’s not nearly as loud. Sound cancellation: Sound cancellation requires sophisticated design to be effective, but conceptually it’s very simple. Sound waves are “bounced” into one another so that they cancel one another out. 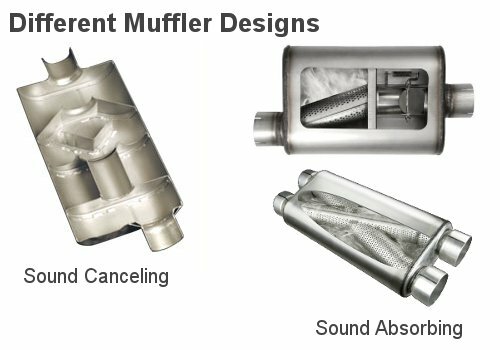 Cancellation is accomplished using baffles that cause sound waves to reverberate inside the muffler. Canceling. Sound absorbing mufflers are the most common type, and almost every muffler uses some combination of these two methods.